Ian Cormac was raised to adulthood during the end of the war between the human Polity and the vicious arthropoid race the Prador. 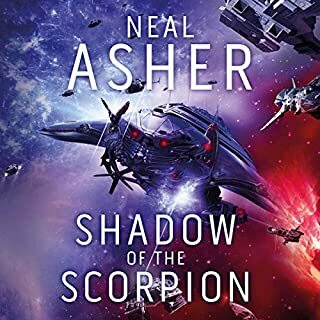 In Neal Asher's Shadow of the Scorpion, Cormac is haunted by childhood memories of a sinister scorpion-shaped war drone and the burden of losses he doesn't remember. 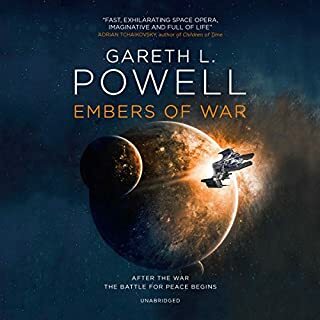 In the years following the war, he signs up with Earth Central Security and is sent out to help either restore or simply maintain order on worlds devastated by Prador bombardment. 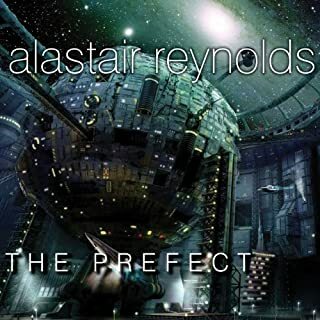 The Technician, the Theocracy has been dead for 20 years, and the Polity rules on Masada - but it is an order that the rebels of the Tidy Squad cannot accept, and the iconic Jeremiah Tombs is top of their hit list. Tombs, meanwhile, has escaped his sanatorium. 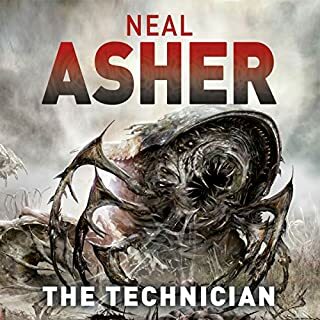 His insanity must be cured, because the near-mythical hooder, called 'the Technician', that attacked him all those years ago did something to his mind even the AIs fail to understand. The Argus Space Station looks down on a nightmarish Earth. And from this safe distance, the Committee enforces its despotic rule. There are too many people and too few resources, and they need 12 billion to die before Earth can be stabilized. So corruption is rife, people starve, and the poor are policed by mechanized overseers and identity-reader guns. Citizens already fear the brutal Inspectorate with its pain inducers. But to reach its goals, the Committee will unleash satellite laser weaponry, taking carnage to a new level. 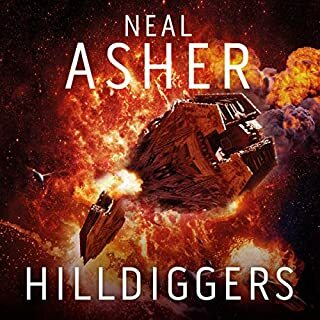 In Neal Asher's Hilldiggers, during a war between two planets in the same solar system - each occupied by adapted humans - what is thought to be a cosmic superstring is discovered. After being cut, this object collapses into four cylindrical pieces, each about the size of a tube train. Each is densely packed with either alien technology or some kind of life. They are placed for safety in three ozark cylinders of a massively secure space station. The Heliothane Dominion is triumphant in the solar system after a bitter war with their Umbrathane progenitors. But some of the enemy have escaped into the past, intent on wreaking havoc across time. 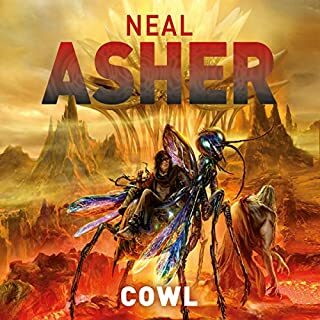 The worst of these is Cowl, an artificially forced advance in human evolution but one who is no longer human. 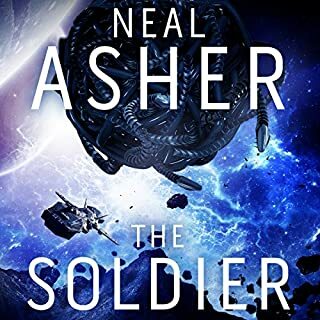 Polly, desperate to obtain funds to support her habits, is unprepared for her involvement with Nandru Jurgens, a Taskforce soldier, and the killers pursuing him. I loved it when I read it! Sable Keech is a walking dead man. Was he resurrected because he was infected by the Spatterjay virus, or it took place late in a tank of seawater? Taylor Bloc wants to know the truth. He also wants more – adulation, power, control – and will go to any lengths to achieve them. An ancient hive mind has sent an agent to this uncertain world. Does it merely want to obtain the poison 'sprine' that is crucial to immortality? Erlin, still faced with the ennui of immortality, is interrupted by an angry whelkus titanicus, and begins a strange journey. Old Captain Orbus commandeered a ship to flee Spatterjay, desperate to escape the violent planet. Orbus’ alien enemy, the Prador Vrell, is also moving on. The Spatterjay virus mutated him into something even more dangerous. And he’s hunting the Prador King himself - who sought to kill him, to bury the secret of their similar transformations. 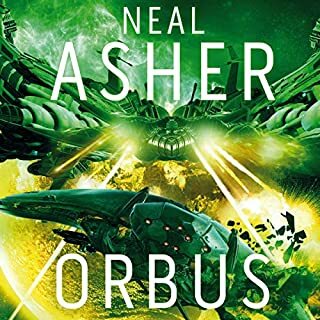 Orbus and Vrell clash in the Graveyard, a lawless zone where the Prador have seized a key space station. 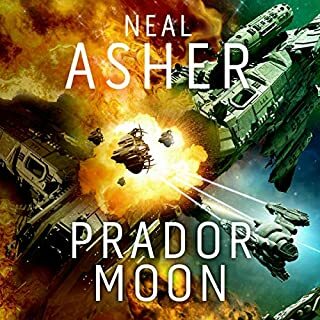 Official action by humanity or Prador would end peace, as a centuries-long cold war simmers. 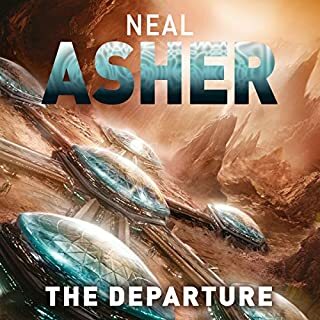 Neal Asher has firmly established himself as one of the leading British writers of science fiction. 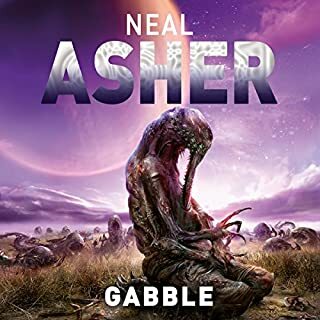 Most of his stories are set in a galactic future-scape called The Polity, and with The Gabble - and Other Stories, a collection of marvellously inventive and action-packed short stories, he takes us further into the manifold diversities of that amazing universe. In outer space you can never feel sure that your adversary is altogether human. The runcible buffers on Samarkand have been mysteriously sabotaged, killing many thousands and destroying a terraforming project. Agent Cormac must reach it by ship to begin an investigation. 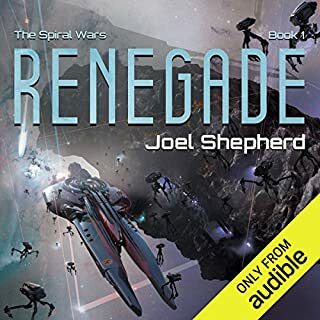 But Cormac has incurred the wrath of a vicious psychopath called Pelter, who is prepared to follow him across the galaxy with a terrifying android in tow. Despite the sub-zero temperature of Samarkand, Cormac discovers signs of life: they are two 'dracomen', alien beasts contrived by an extra-galactic entity calling itself 'Dragon', which is a huge creature consisting of four conjoined spheres of flesh each a kilometre in diameter. 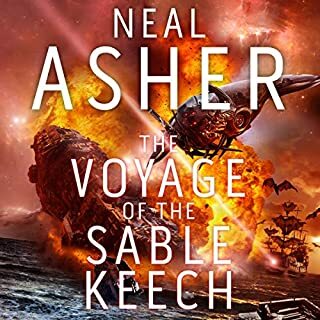 Caught between the byzantine wiles of the Dragon and the lethal fury of Pelter, Cormac needs to skip very nimbly indeed to rescue the Samarkand project and protect his own life. 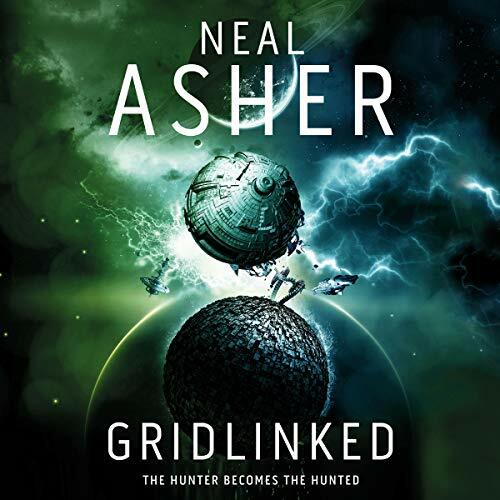 Gridlinked is the first sci-fi thriller in Neal Asher's compelling Agent Cormac series. the book contains less technobabble and militaria than one would expect. its great to listen to. Read well, with a great story with a huge backstory. Well worth paying for. 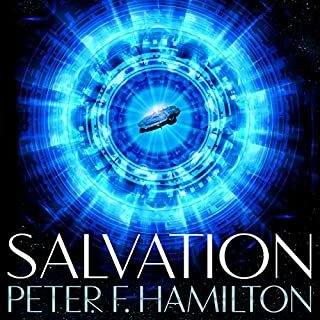 Thoroughly recommended to hard sci-fi fans. Read this book years ago and loved it then. Thoroughly enjoyed this reading. The narrator is top notch but the editing could have been a little better. Sometimes there was insufficient pause when moving from one group to another causing a little confusion. The story introduces the main protagonists of this series well and introduces some interesting concepts. Quite enjoyed the book, though sometimes it was hard to follow when a chapter contained more than a single narrative. Pretty good detail of the universe. 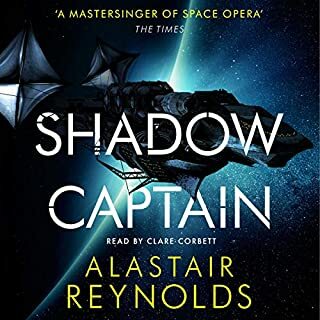 Was fairly well read though a lot of it, with the English dialect made me feel like part of it was midsummer murders in space. The ending assumed a lot to of Reading between the lines and I felt it was better to read the alternative ending on the author's website. Didn't find myself investing a lot into the characters or the world in the same way I do with the Expanse series. Lover's of space opera will love this book. I can't recommend it highly enough. Great read. Wonderful adventure and great ideas as usual. 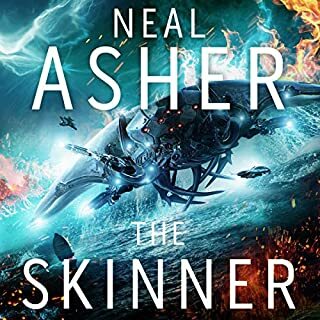 Asher's books are brimming with detail so much so that I like to listen to them several times to soak it all up. Great performance by Ric Jerrom too. I very much enjoyed this book. It has an interesting story, good narration and very much reminds me of the culture series. I will be listing to more of these. I can tell this is one of Asher's earlier attempts at writing a novel. A lot of boring inbetween stuff and filler material that feels like it could just as well have been left out of the book. Not much of the compact, action packed, to the point writing his later work is full of. Still,at chapter 7 or so the story picks up momentum and I got sucked in anyway. All in all, well worth my time. 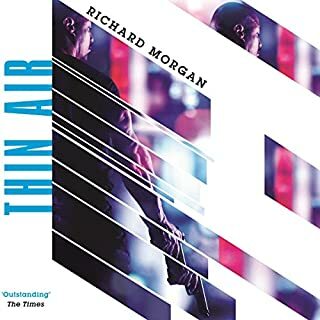 The true horror of this audio incarnation of a cyberpunk classic is the narrator. Oh, my, god!! Total amateur. Not only does he not know how to use proper intonation and accents. He reads sentences in completely alien ways. Quote: "I want THEM watched al all times." thatvis rediculous! Every thrid grader can sense that the ephasis should be on the word "watched" and in my perference also on "all". Like this: "I want them WATCHED at ALL times." this narrator, of whom I refuse to look up the name, just invents random pauses and emphasizes words in a way that rips their meaning completely out of context. 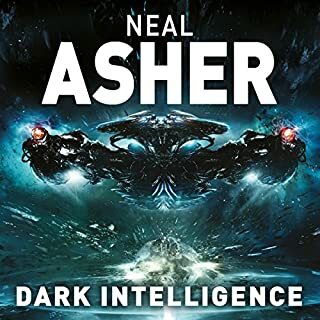 The result is that I keep reconstructing half the sentences in my head the way Asher must have meant them so I can understand what is actually meant. Is that horrible narration or what?! Besides that his voices are unbearable. He lays on the voices in such an exaggerated way that characters just seem rediculous. Does he not understand that he is not the writer? Use voices to serve the story ffs, don't give them so much of your own influence that they can not possibly fit in anymore.. This man truly does not belong in this line of work. Thanks for writing some of my favorite science fiction though ;). What did this novel want to be? In other reviews I've seen the author being favourably compared to Gibson or Stephenson. I wish I had read the reviews first, I wouldn't have wasted the credit. As it was I listened to the preview and was grabbed by the start. I thought I was in for a seriously interesting sci-fi/mystery. What I got was badly structured prose trying to describe a future where all of humanity is ruled by AIs. Agent Cormac -- our &quot;hero&quot; -- is part of the ruling polity until he's un-linked because eh's forgotten how to be human. Sadly the more I read about Cormac the less I cared about him. The villains, at least the human ones, were more interesting.